Bankruptcy can be a valuable and legitimate tool for taking control of your finances after you have become mired in debt. Whether you have extensive medical debts from an unexpected injury or you just got carried away with easy credit in your youth, you may be able to use bankruptcy to either discharge your debts or to restructure them so that you have a more affordable monthly payment and can pay them back more quickly. The best thing you can do to prepare yourself for buying a new home after filing for bankruptcy is to start rebuilding your credit as quickly as possible. Pay all of your bills on time – especially those that will report to credit bureaus, such as a car loan that you kept or a student loan that you were not able to discharge. You can start using credit cards again by getting a secured card from your bank. These cards usually have a very low limit that is backed by the amount you have in a savings or other account. There is little to no risk for the bank, so you are more likely to be approved. Use it sparingly and pay it off in full each month to get a positive payment history while keeping your overall debt-to-income ratio low. If you can’t pay your bill in full each month, just pay as much as you can and keep an eye on your balance so that it never gets too high. Mortgage lenders look at more than just credit when determining your loan options for buying a home. They will also look at your job history to determine your work stability and your financial potential. Maintaining a stable job history will improve your chances of being approved for a loan and will help you to get more favorable terms. If you are thinking of getting a new job, it may be worth sticking with your current position at least until you can close on your home sale. Most lenders want to see at least two years of stability at a job, but the more you have, the better. You’ll need to save for more than hiring a Mesa moving company or buying new appliances before you can buy a home in Arizona after your bankruptcy. Lenders will want to see that you have some money in the bank when you start applying for mortgages. By having a nice nest egg saved up, you are showing lenders that you have taken some control of your finances since your bankruptcy and that you are spending (and saving) responsibly. You also show lenders that you have a bit of security if you run into any unexpected financial issues in the future. Time is on your side when it comes to buying a home after a bankruptcy. The more time that has passed, the better your opportunities will be for securing lending and getting favorable terms. However, if you don’t have all the time in the world to wait, just know that you will have to wait a minimum of two years from your bankruptcy discharge to get a mortgage. This time period starts from the date that your bankruptcy is discharged, or finalized, so don’t start making plans while your bankruptcy is still being negotiated or is still making its way through court. Buying a new home is a big step for any family, but it can be complicated by filing for bankruptcy. You still have options for securing lending, but you need to plan ahead to ensure you get the best terms. Follow these steps, and you’ll soon be directing the movers in the 85381 area where to put your belongings in your new Arizona home. 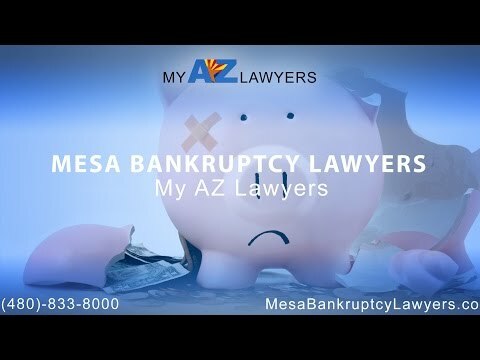 Contact us today to speak with an experienced bankruptcy lawyer in Mesa.